Pioneered in the 80's by bands like Slayer, Anthrax, Metallica, and Testament, Thrash Metal is in many ways a dying art. But there are some, a small group of faithful who are breathing life back into this forgotten style. One of those bands is Shadow Of Demise. Starting in 2004, Shadow Of Demise set out to play an extreme style of metal, sticking to the mainstays of traditional thrash and death metal but adding a modern feel to the music. 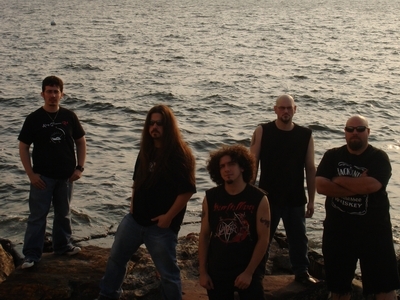 Founding members; vocalist Stephen Graves and guitarist Dan Belmont began writing crushing riffs and equally twisted lyrics and soon found like-minded musicians to record a three song demo late in 2004 entitled "Fracture" In 2005 the band acquired drummer Luigi Argento and guitarist Ronnie Merrin. After making a crushing live debut at Brooklyn Music Terminal in late August of that year, the band began writing material for their debut full length album. 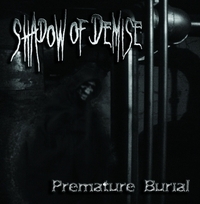 In March of 2006 the band laid down the tracks for what was later titled "Premature Burial" Immediately Shadow Of Demise began playing all over New York City, solidifying their reputation as a sought after metal act in the local scene. Over the summer, one more addition was made to the lineup in bassist John Schnaas. Drawing from the influence of those pioneers and adding the aggression and brutality of Death Metal bands like Suffocation, Cannibal Corpse, and Deicide, Shadow Of Demise has created a monstrosity that will soon be fully unleashed upon an unsuspecting Metal world full of emocore and metalcore bands.